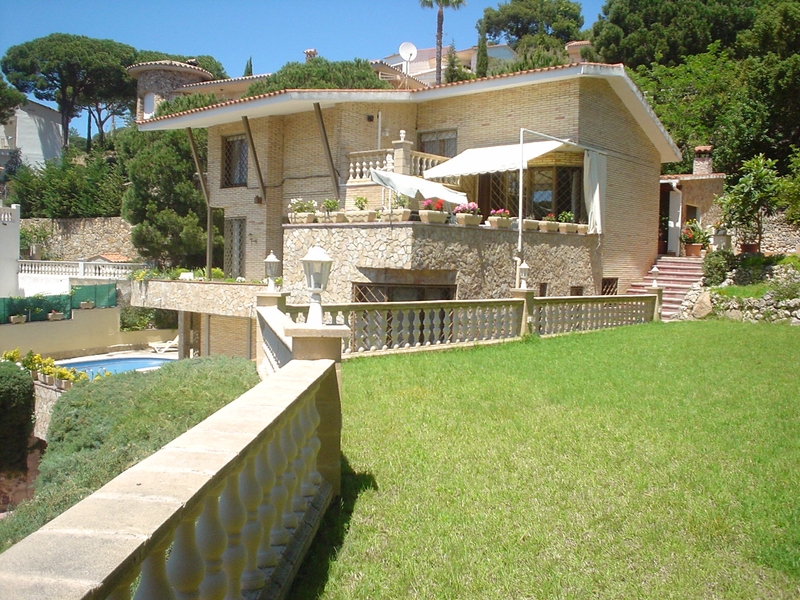 Big villa (300 m2 + 1000 m2 for plot) located in the residential area of La Font de Sant Llorenç, a very quiet area, 3 km from the beach Cala Canyelles and 8 km from the center of Tossa de Mar. 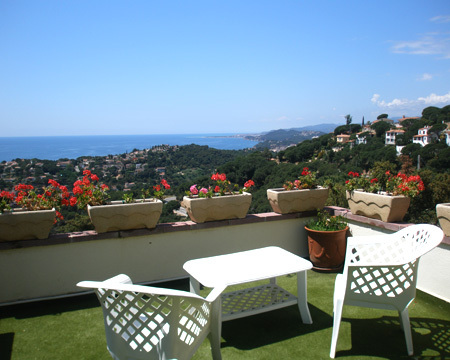 ( 6 Km from the centre of Lloret de Mar). 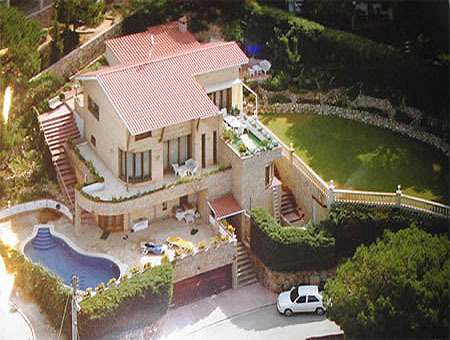 It has 6 bedrooms (2 with 1 double bed; 3 with 2 single beds in each one; 1 with 1 pull-out bed), a living-room (TV, DVD, Hi-Fi), a dining-room, an equipped kitchen (dishwasher, microwave), washing machine, a library, 3 bathrooms (1 with a hydromassage shower; 1 with a jacuzzi) + 1 toilet. Private pool and gardens. Barbecue, terrace. Garage (2 cars). Wonderful sea views. Air conditioning in the library and in the bedroom with the double bed. Posts for football and volleyball. 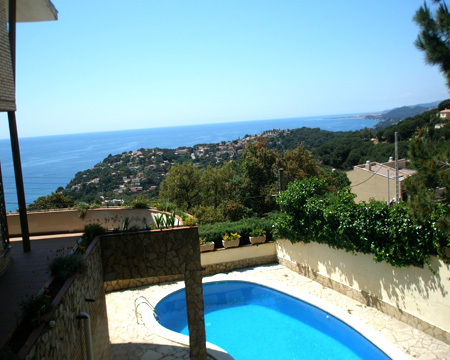 The pictures of the beach do not correspond to the view from the house. They are of Cala Canyelles, the closest beach to the villa. Cala Canyelles is a pretty stretch of the Costa Brava's coast with 500m of the characteristic coarse white sand beach of the area. Umbrellas and deck chairs are available to rent as well as activities like pedal boats, parasailing, water- skiing and canoeing. Also you can taste the Mediterranean food, fish and paellas, in the restaurant placed on the beach.